This volume explores the genre of the historical novel and the variety of ways in which writers choose to represent the past. How does an author’s nationality or gender impact their artistic choices? To what extent can historical novels appeal to a transnational audience? This study demonstrates how histories can communicate across national borders, often by invoking or deconstructing the very notion of nationhood. Furthermore, it traces how the concerns of the postmodern era, such as postmodern critiques of historiography, colonialism, identity, and the Enlightenment, have impacted the genre of the historical novel, and shows this impact has not been uniform throughout Western culture. Not all historical novels written during the postmodern era are postmodern. The historical novel as a genre occupies a problematic, yet significant space in Cold War literary currents, torn between claims of authenticity and the impossibility of accessing the past. Historical novels from England, America, Germany, and France are compared and contrasted with historical novels from Sweden, testing a variety of theoretical perspectives in the process. This pitting of a center against a periphery serves to highlight traits that historical novels from the West have in common, but also how they differ. The historical novel is not just a local, regional phenomenon, but has become, during the postmodern era, a transnational tool for exploring how we should think of nations and nationalism and what a society should, or should not, look like. 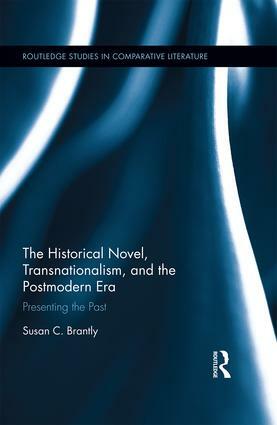 Susan Brantly is Professor of Scandinavian Studies at the University of Wisconsin-Madison, USA.